Mülhe was founded in 1945 by Otto Johannes Mülher. This company currently manufactures shaving brushes, shaving brush soaps, face cream, body lotion, balm after shaves and other utensils for shaving as razors, etc. We have shaving brushes, soaps, organic face creams and balms after shaves. Mülhe has different kinds of shaving brushes, all hand finished, no synthetic brushes as the Silvertip FIBRE® which is manufactured since 2011 giving very good results. 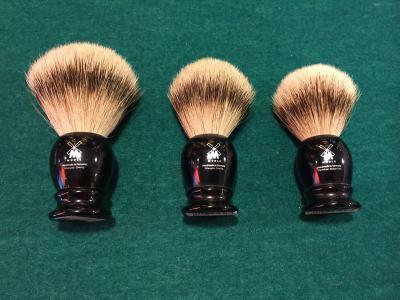 We have brushes made with badger hair and finished by hand, but on request can have any brush company.